Shop online for over 200 grandt model trains at discounts up to 58%. Scratch Supplies is the most popular of the 12 grandt model trains categories, then Buildings, and Parts. This is the HO Scale 36x64 4 Pane Double Hung Window (8) from Grandt Line Products Inc. 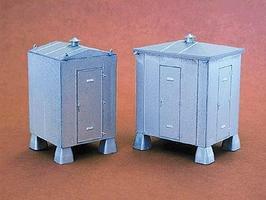 This is the HO Scale Relay House - 2 Styles - Kit from Grandt Line Products Inc. This is the HO Scale 30x62 4 Pane Double Hung Window (8) from Grandt Line Products Inc. 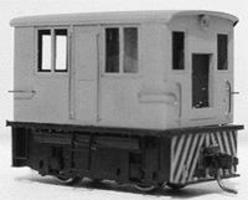 This is the HO Scale Narrow Gauge GE 23-Ton Box Cab Diesel Loco Kit w/Mabuchi Power Unit from Grandt Line Products Inc. This is the HO Scale Standard Gauge GE 23-Ton Box Cab Diesel Loco Kit w/Mabuchi Power Unit from Grandt Line Products Inc. 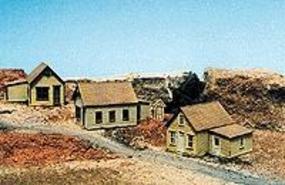 This is the N Scale Reese Street Row Houses - Kit - pkg(3) from Grandt Line Products Inc. This is the HO Scale Brake Rod w/Clevis (6) from Grandt Line Products Inc. This is the HO Scale 32x70 6/4 Pane Double Hung Window (8) from Grandt Line Products Inc. This is the HO Scale Durango Station Wainscot (5) from Grandt Line Products Inc. This is the HO Scale Section Tool House Kit from Grandt Line Products Inc. This is the HO Scale 4-Wheel Baggage Wagon Kit (1) from Grandt Line Products Inc. This is the HO Scale 52x33 Horizontal Siding Window (8) from Grandt Line Products Inc. This is the HO Scale 42A'x72'' Masonry Double Hung Window (6) from Grandt Line Products Inc. This is the HO Scale 42x72 6 Pane Single Sash Window (4) by Grandt Line Products Inc. This is the HO Scale Pacific Car & Foundry Log Bunks (2) from Grandt Line Products Inc. This is the N Scale Windows - Double Hung 12-Pane 36 x 64'' (12) from Grandt Line Products Inc. This is the HO Scale 2 1/2 Nut, 6 1/2 Cast Iron Washer (100) from Grandt Line Products Inc. This is the HO Scale Commercial Storefront Window & Door Set (2) from Grandt Line Products Inc. 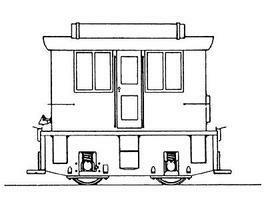 This is the N Scale 36'' Door Assortment (2 Sets) from Grandt Line Products Inc. This is the HO Scale Reese Street Row House Kit (3) from Grandt Line Products Inc.